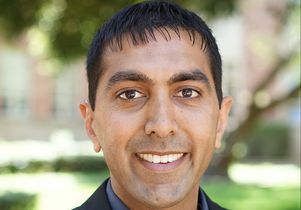 Neil Garg, professor and vice chair for education in the UCLA Department of Chemistry and Biochemistry, has been selected as the winner of the 2016 Mitsui Chemicals Catalysis Science Award of Encouragement, an award that recognizes outstanding achievements in catalysis science. He will be honored at the Chemical Society of Japan Chemistry Festa on November 14 in Tokyo and will receive a cash prize. Garg’s group’s research spans the discovery of new chemical reactions, the understanding of how organic molecules react and the chemical synthesis of biologically important molecules that may ultimately benefit human health. In Garg’s award-winning research, his research group develops new chemical transformations that enable the synthesis of important organic molecules, such as pharmaceuticals and bioactive molecules found in nature that are often referred to as “natural products.” His laboratory develops synthetic strategies and methods to enable the synthesis of such molecules. Mitsui Chemicals, Inc. established the award with the aim of contributing to the sustainable development of chemistry and the chemical industry. The recipient of numerous awards and honors for his research and teaching, Garg was selected as the 2015 Carnegie Foundation for the Advancement of Teaching California Professor of the Year. The U.S. Professors of the Year program honors the most outstanding undergraduate instructors in the country, who are extraordinary teachers and positively influence the lives and careers of their students. His other honors include a 2016 Guggenheim Fellowship, the Royal Society of Chemistry’s 2016 Merck Award, the 2016 Thieme-IUPAC Prize the 2015 Gold Shield Faculty Prize, UCLA’s prestigious 2014 Eby Award for the Art of Teaching and UCLA’s 2012-2013 BruinWalk.com’s Professor of the Year. In his teaching, Garg emphasizes the creativity and problem-solving that organic chemistry requires, and its relevance in students’ lives. Garg teaches an extremely popular organic chemistry course that is arguably UCLA’s most beloved class. 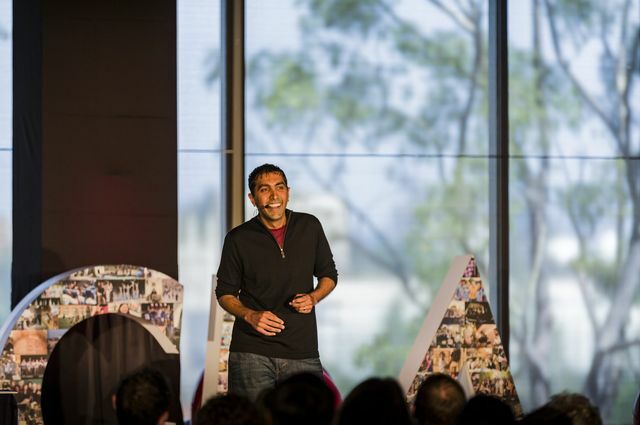 He shared his teaching secrets with in this 20-minute TEDxUCLA talk. Garg enlivens student learning with interactive online tutorials combining real-life examples of organic chemistry, human health and popular culture. One tutorial noted that the popular pain reliever Tylenol, taken by more than 100 million people annually, can cause liver damage if overused, a result of oxidation and change in functional groups. Another focused on chemical agents used in cosmetics, food additives and pharmaceuticals. Garg is now planning to expand these interactive online tutorials to students and educators worldwide. Neil Garg, professor and vice chair for education in the UCLA Department of Chemistry and Biochemistry. 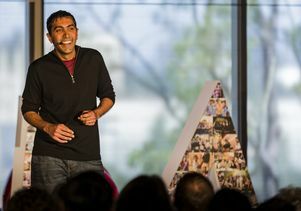 Neil Garg, professor in the UCLA Department of Chemistry and Biochemistry.